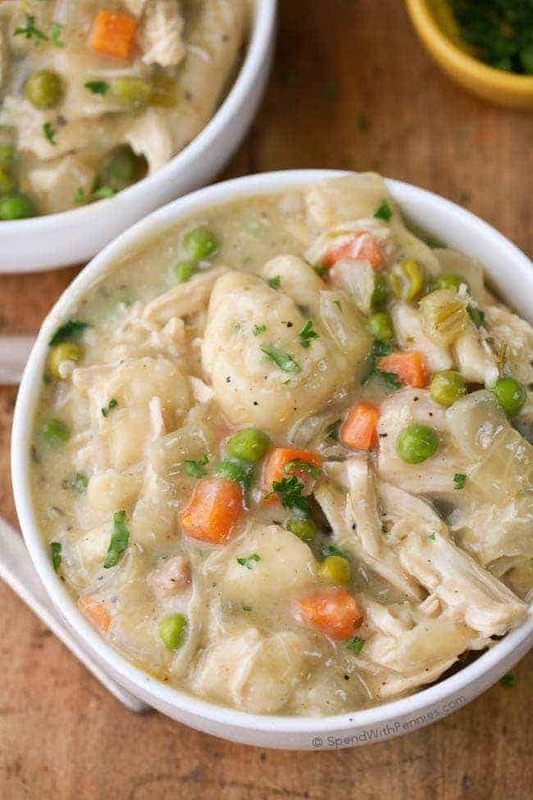 Easy Crock Pot Chicken and Dumplings. 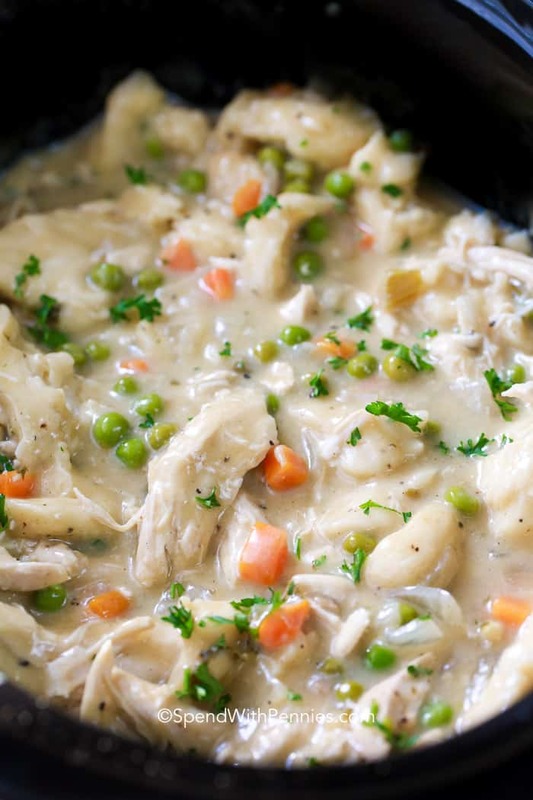 Juicy chicken breasts cooked to tender perfection in the slow cooker in a rich creamy sauce. 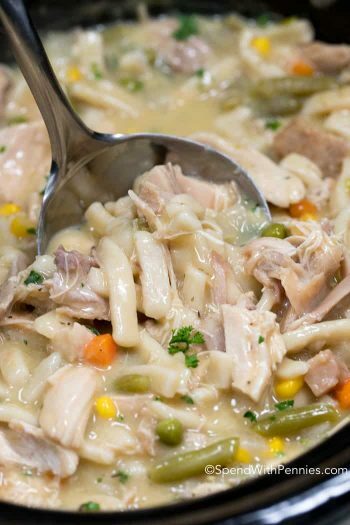 Don’t get me wrong, I love Old Fashioned Chicken and Dumplings from scratch but having a busy household with kids, I know that sometimes time is short and I don’t have hours to spend cooking a full Sunday dinner from scratch. 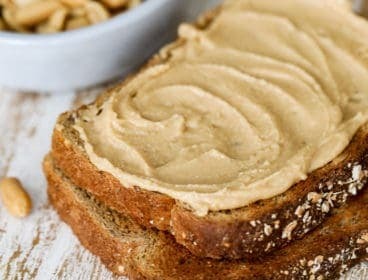 This recipe uses a few little short cuts to make it really quick and easy to put together while not skimping on flavor. 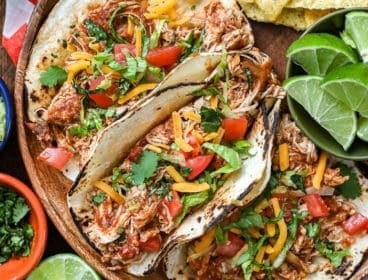 The best part about this recipe is that it cooks up in the slow cooker all day long. That means you can spend about 5 minutes prepping and head on out and run your errands (or go for lunch with your friends which sounds much more fun). 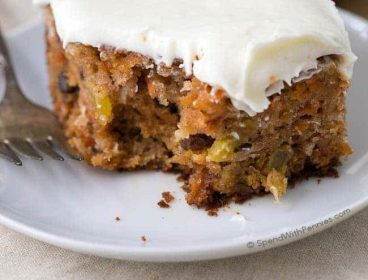 The slow cooker does all of the work but the results are just as amazing as a from scratch recipe (there’s a reason this recipe has a five star rating ★★★★★)! Quick prep with optimal results is my kind of cookin’. 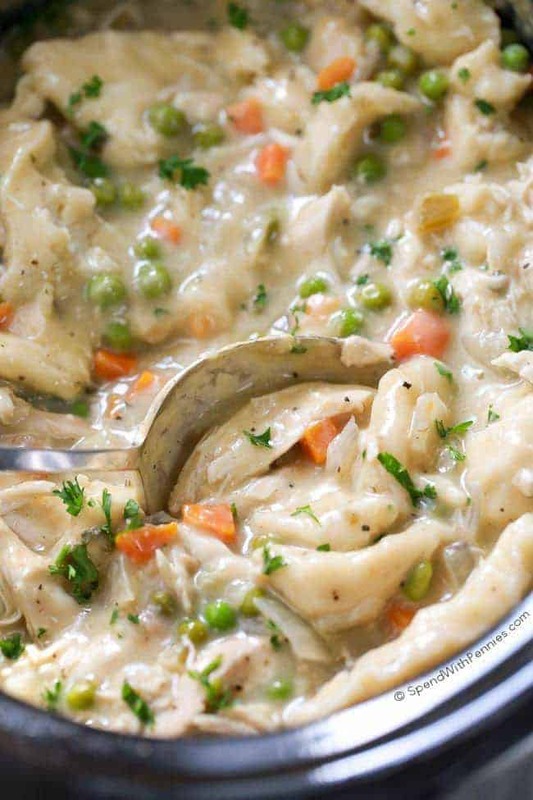 I use a can of premade biscuits to make the dumplings to make this dish totally effortless. You’re going to want to roll them extra thin as they do puff up a little while they cook. If you don’t want to use (or don’t have) canned biscuits, feel free to mix up a batch of your favorite homemade biscuits to create your own dumplings (or use Biscuit Mix). 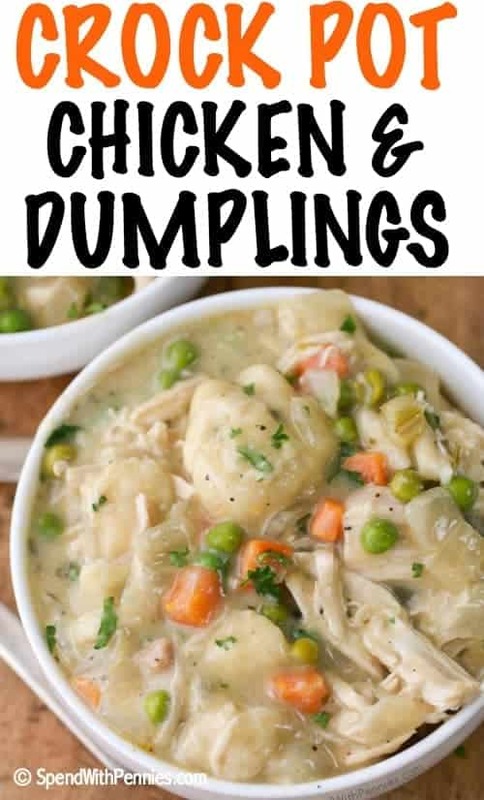 Once you shred the chicken and stir it back in, your dumplings will break up a little bit but don’t worry; the edges soak up a bit of the sauce making for a perfect bowl of comfort. 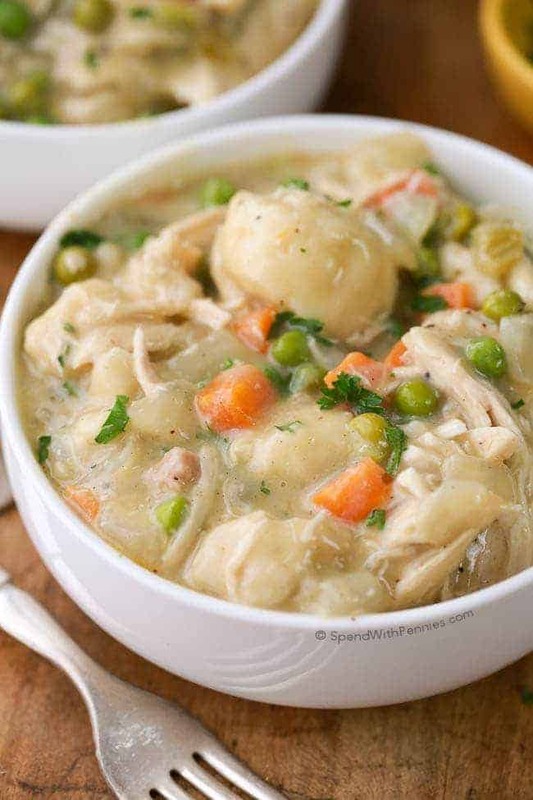 While I know not everyone likes vegetables with their chicken and dumplings, I sure do! I love the addition of frozen veggies for color, flavor and some extra nutrients (plus frozen veggies are pretty effortless). If veggies in your chicken and dumplings isn’t your thing, feel free to leave them out (but don’t skip the onion, it adds lots of flavor)! 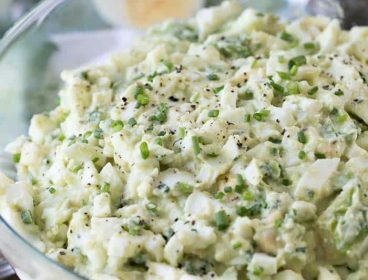 As easy as this recipe is, here are a few tips to make sure it turns out perfectly for you! 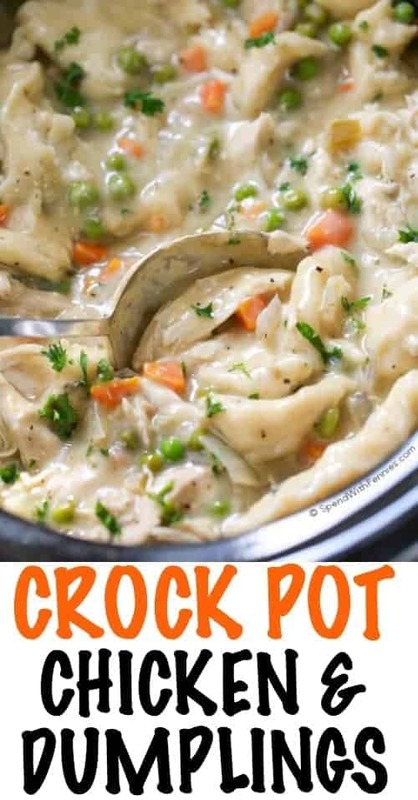 This recipe is best made in a 6QT crock pot. 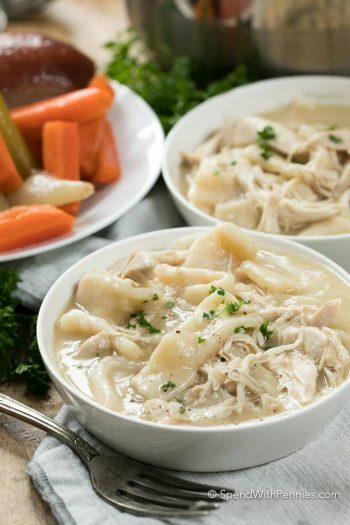 While this chicken and dumplings recipe uses frozen veggies, they should be defrosted before adding to the slow cooker. My biscuits are always perfectly cooked after 60 minutes however some slow cookers may require extra time to cook the biscuits. Open the lid as little as possible as the slow cooker can lose heat quickly and this can cause your biscuits to not cook properly. 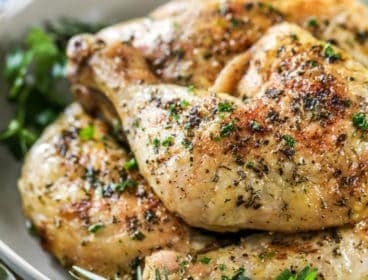 Boneless chicken thighs make an excellent addition to this recipe. Once the biscuits are cooked through they should still have a soft, slightly doughy dumpling-like texture. 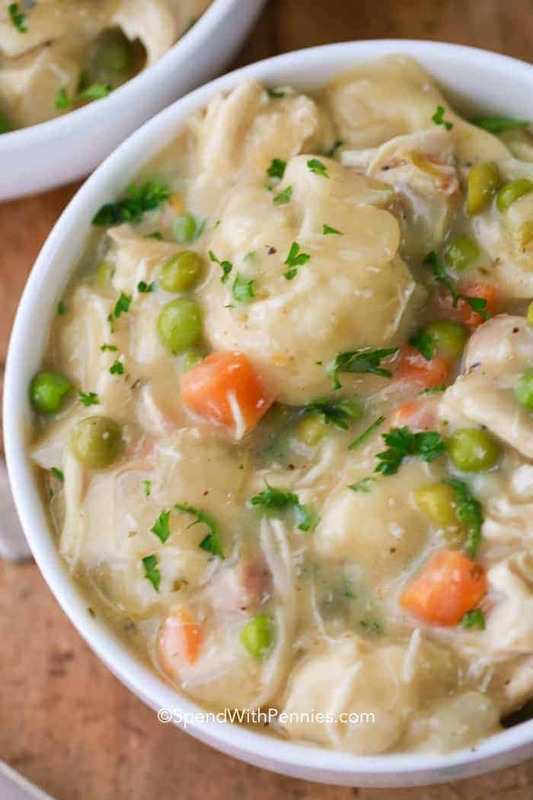 Depending on the size of your slow cooker, this recipe may not double well. To double this recipe, cook the chicken portion as directed. Additional dumplings can be cooked on the stovetop or baked in the oven as biscuits. 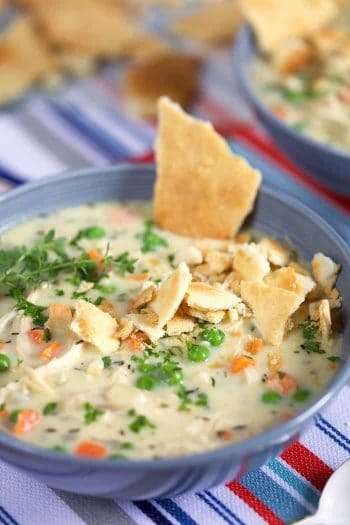 Dairy (such as cream or milk) doesn’t always do well in the slow cooker; it can often separate or curdle so I’ve subbed in condensed soup in this recipe. 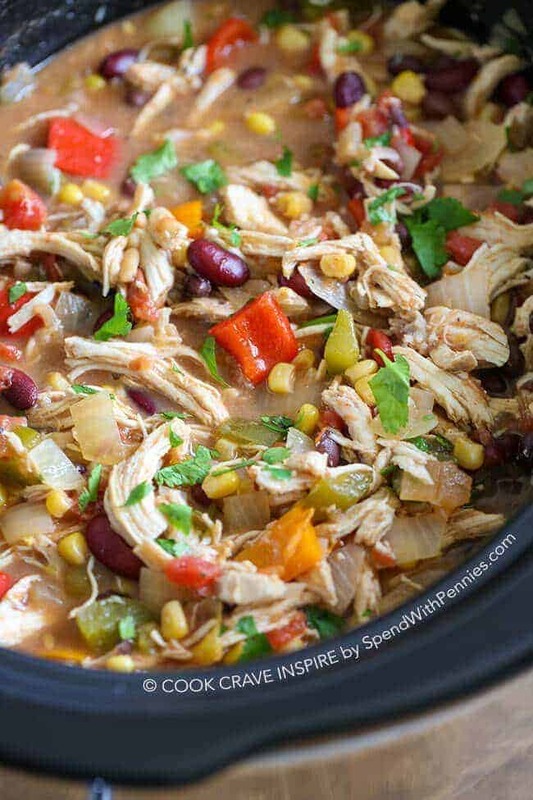 Condensed soups make a great addition to crock pot recipes as they tend to hold up very well in the slow cooker (plus they add lots of flavor to this recipe) without the risk of curdling. 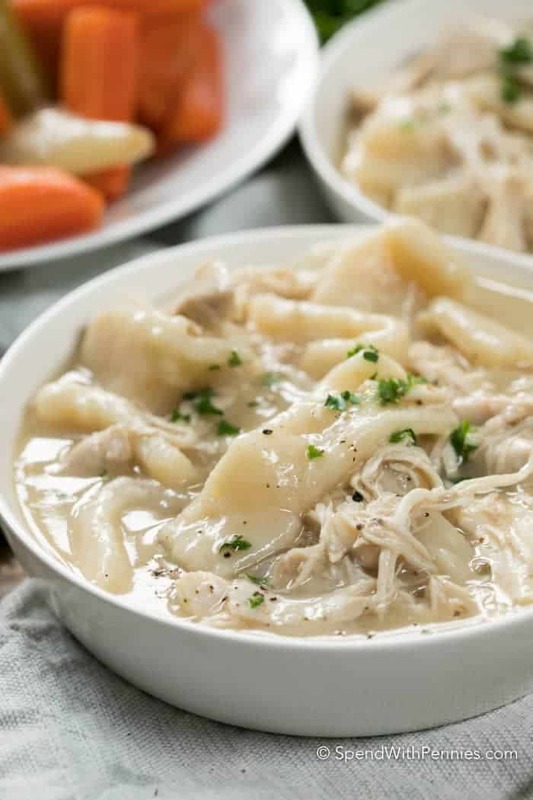 Once you try this easy recipe, it’ll quickly become your go to for slow cooker chicken and dumplings. 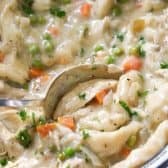 Ensure your slow cooker is on high and the liquid should be bubbling along the edges when you open the lid to add your vegetables and biscuits. It’s really important that you open the lid for as little time as possible and that your vegetables are completely defrosted. Note: Buttermilk, Country or Homestyle Biscuits work best in this recipe. 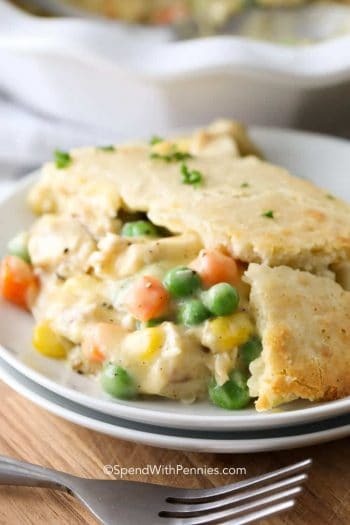 When adding the vegetables/biscuits ensure the lid is left off as little as possible. 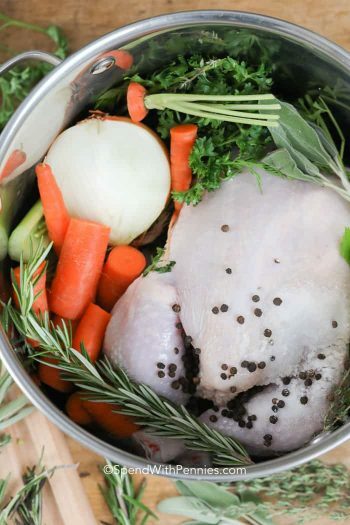 Leaving the lid off for long periods of time will drastically increase cooking time. Approximately 1 hour (I allow 60 - 90 minutes) before serving (after 4 hours of cooking time), roll each biscuit thin and flat. Cut into 4 strips. Add vegetables to the slow cooker and stir. Add biscuit strips on top. Replace lid as quickly as possible. 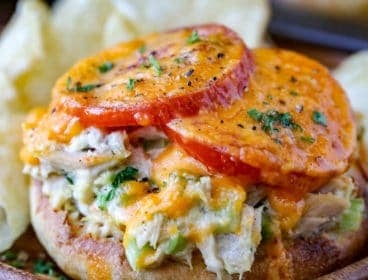 Remove chicken breasts and slightly shred. 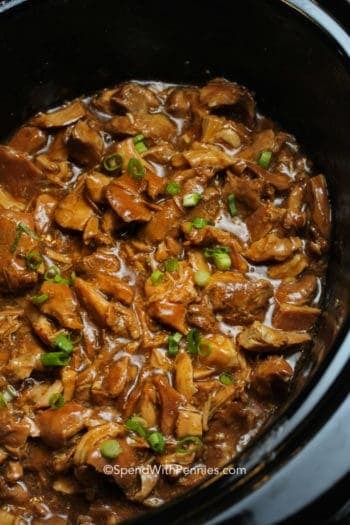 Add back into slow cooker and stir (this will break up the dumplings somewhat which is ok). Let cook an additional 10 minutes and serve. Note: My biscuits were perfectly cooked after 60 minutes however some slow cookers have required extra time to cook the biscuits.